Although Judson’s idea was popular, his design made it impossible to mass produce zippers economically. One day, a man from the Westinghouse Electric Company, Lewis Walker, saw Judson’s invention at Chicago’s Columbian Exposition. He was so interested in the idea that for 13 years he tried to modify the design to make it easier to reproduce in large quantities. But the idea sat in the US Patent Office until 1906, when Walker convinced a man named Gideon Sundback to work for Westinghouse. Sundback was a 26-year-old from Sweden who later received a doctorate in science from Allegheny College. 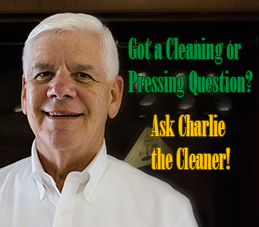 He held a degree in electrical engineering when he started working at Westinghouse. Sundback was given the task of trying to solve the production problem that appeared in Judson’s slide fastener/zipper patent. After working on the problem for seven years, Sundback solved the problem of the slide-fastener design. He produced blueprints for the machinery to produce the zipper. As a result, the Hookless Fastener Company was incorporated in 1913 with 20 employees. In 1914, Sundback requested a patent and was given one three years later. 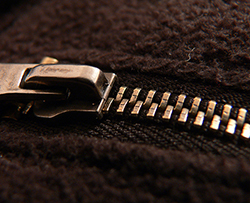 The public loved it, and the zipper was officially born into society.